When I’m not working on my next workshop idea or helping clients choose (or make) healthier household products, I’m off in the wild. The wild of the city that is. Recently we (my boyfriend & I) experienced a series of local excursions of note all around the city. There is an urban wilderness to be found out there and I’ll be sharing more of my explorations as I experience them. Stay tuned! 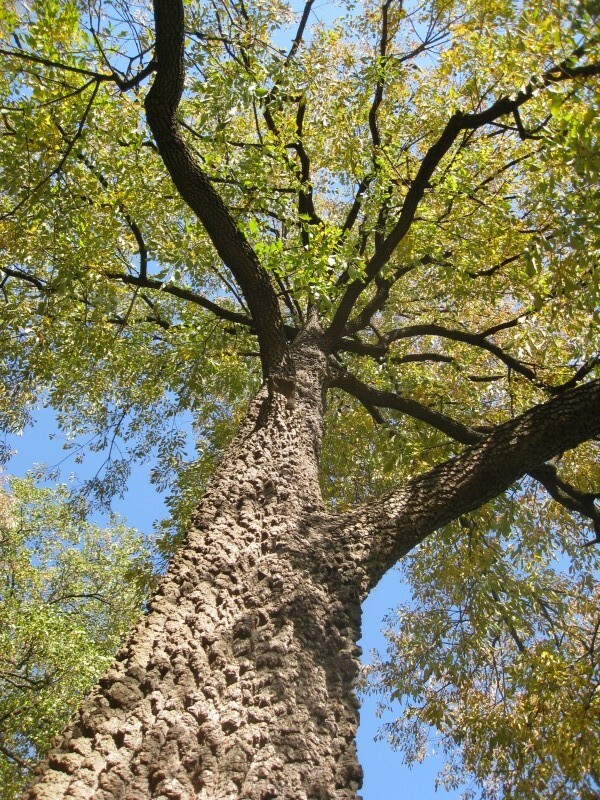 This 196.4 acre wild park at the uppermost tip of Manhattan holds the last forest (Oak-Beech-Hickory) of its kind on the island, as well as the last salt marsh. We were amazed by both the unkemptness (in a good way) of the park, as well as its proximity to the Westside Highway (we had to traverse it twice, both times via tunnel). We heard many uncommon (to our ears) bird calls and upon encountering a couple of birders, learned there were kinglets and black-capped chickadees in our midst. NYC boasts a diversity of wildlife way beyond the grey squirrel (and black & albino varieties) and pigeon. Check out this great article by Robert Sullivan to learn more. Another thing NYC has that might surprise people is some great foraging finds. We spotted a chicken-of-the-woods from the path and without much hesitation (possibly) broke the park rules by hightailing it up the side of a hill to check it out (and grab enough fungi for 4 meals!). From the woods we could see the salt marsh below. The marsh meets the Spuyten Duyvil (for the most part, the East River) before it heads out to the Hudson. 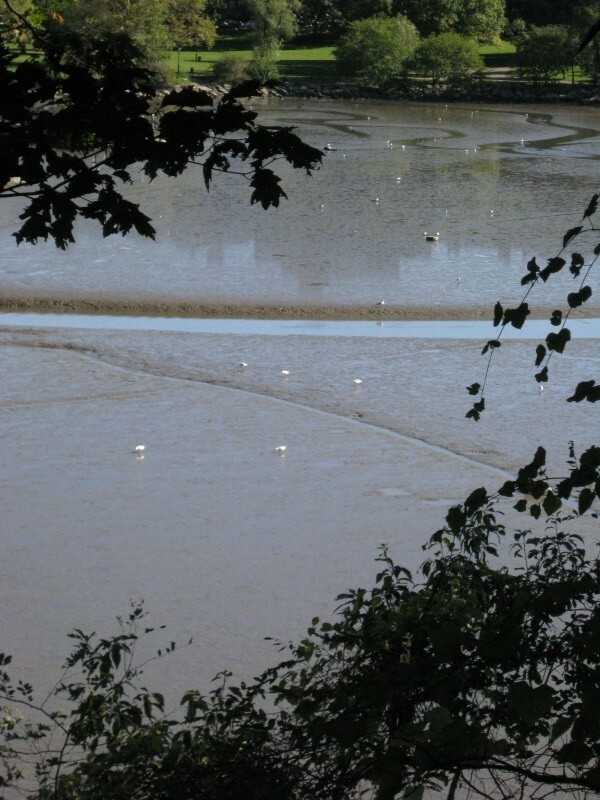 Sea gulls and other wading birds seemingly lounge about, scooping up crustaceans and fish during low tide. In the visitor center, one of the rangers showed us a flounder and striped bass that were caught in the marsh the day prior. They also had turtles, snakes, and walking sticks, all native to the area. To get to Inwood Hill Park, take the A to Dyckman St (200 St) or 207th St or the 1 to 207th St (10th Ave) and walk west. You can’t miss it! Open House NY (OHNY) is a free annual event that introduces otherwise closed off parts of NYC to residents and tourists alike. 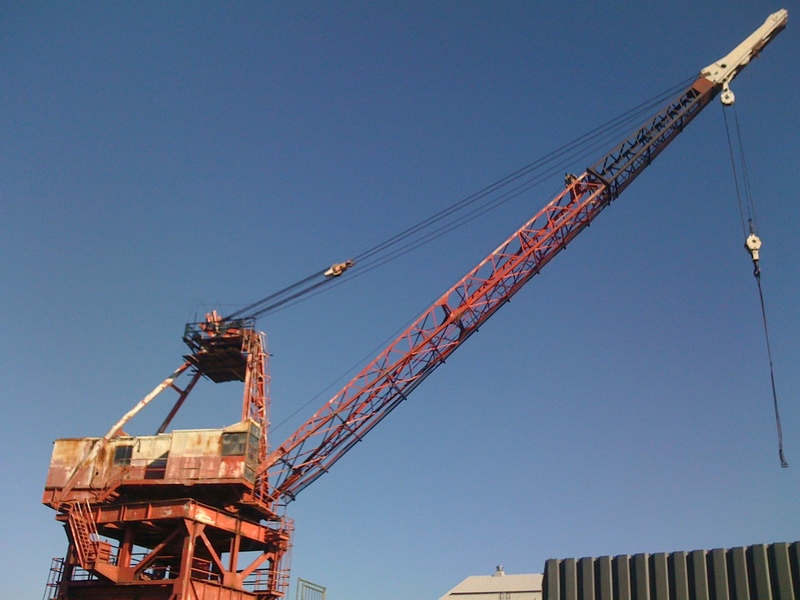 Our first OHNY excursion was at the Brooklyn Navy Yard. What was once an active port is now home to artists, fabricators, industrial companies, and film set builders. After checking out an art exhibit, we wandered around a bit (until we got “caught” by security). It’s a bit like wandering through an abandoned town, albeit a bit more maintained. Visiting the Brooklyn Navy Yard seems to be a tricky venture. You can visit during Open House events like we did, or if you’re interested in leasing space, you could probably make an appointment to get inside. Otherwise, you can stand outside the gate, staring in longingly. To the south of the visitor’s gates, you can get a glimpse of the decaying old Officer’s Row residences in the yard. A great way to see how nature takes over when we don’t interfere. Directions to the Navy Yard. Noshing nearby: If you’re peckish and up for a little walk, check out Vinegar Hill House. Delicious! After eating a tasty and fitting omelet breakfast at Williamsburg’s Egg, we hightailed it to the Newtown Creek’s digester eggs. If you’ve ever looked across the East River to Brooklyn from the midtown Manhattan side (east), then you’ve seen the giant silver orbs that are the Newtown Creek Wastewater Treatment facility’s anaerobic digester “eggs.” I didn’t really think of them as beautiful until I got upclose & personal with the eggs at a recent tour (another OHNY event). We actually got to go to the top of the shiny lovelies to learn more about their function from one of the employees. 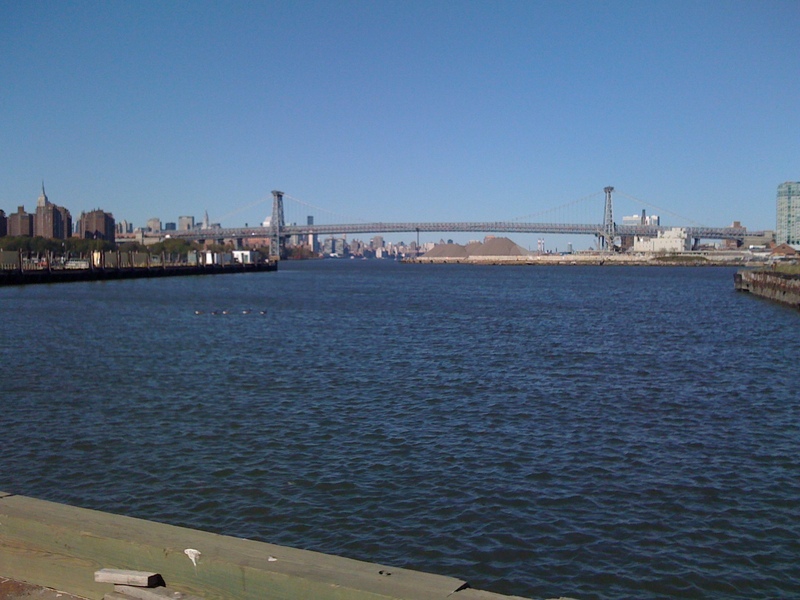 To learn more about what happens to the water that we flush down the toilet, sink, or shower, check out this fact sheet about wastewater treatment in NYC. To get to Newtown Creek visitor center – which is open to school groups on Tuesdays & Thursdays and the general public on Fridays & Saturdays – take the G train to Greenpoint Ave. Use the Greenpoint/Manhattan Ave exit. Walk along Greenpoint Avenue one long block east and cross McGuinness Blvd. Continue on Greenpoint Ave to the next traffic light and cross Provost. 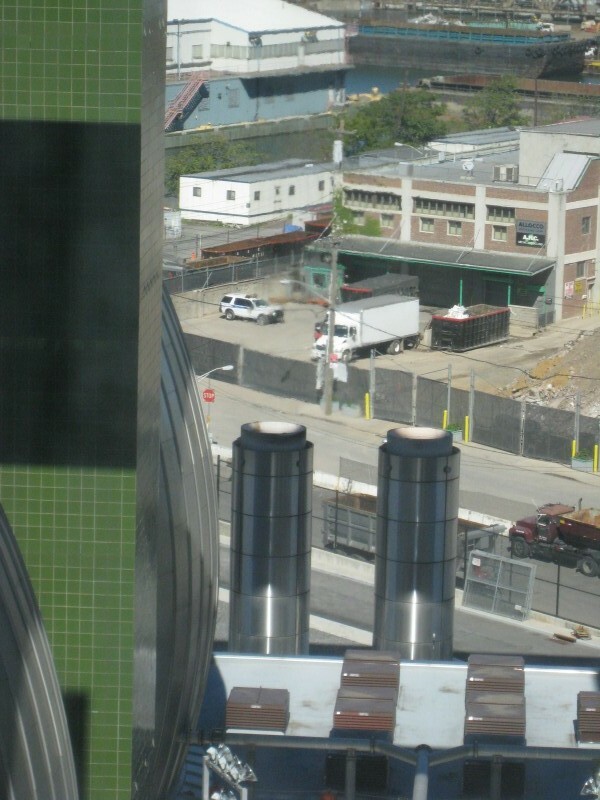 The Newtown Creek Wastewater Treatment Plant will be on your left. Follow the fence-line and continue walking until you reach the main gate to the plant, at a traffic light on Humboldt St. 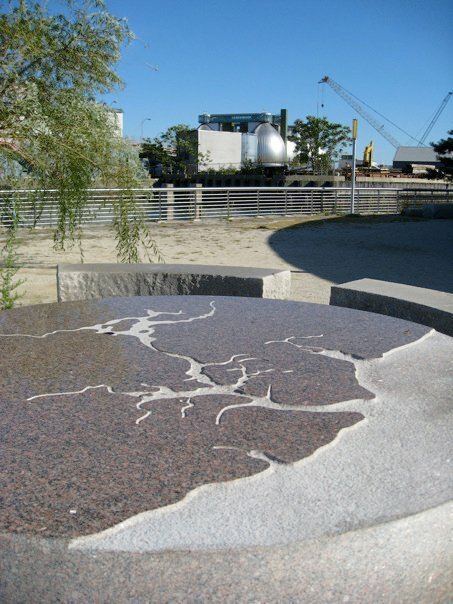 I also highly recommend the Newtown Creek Nature Walk, which runs along the East River and includes native plantings and insightful sculpture work. Green-Wood has been on my list of places to visit for a while. 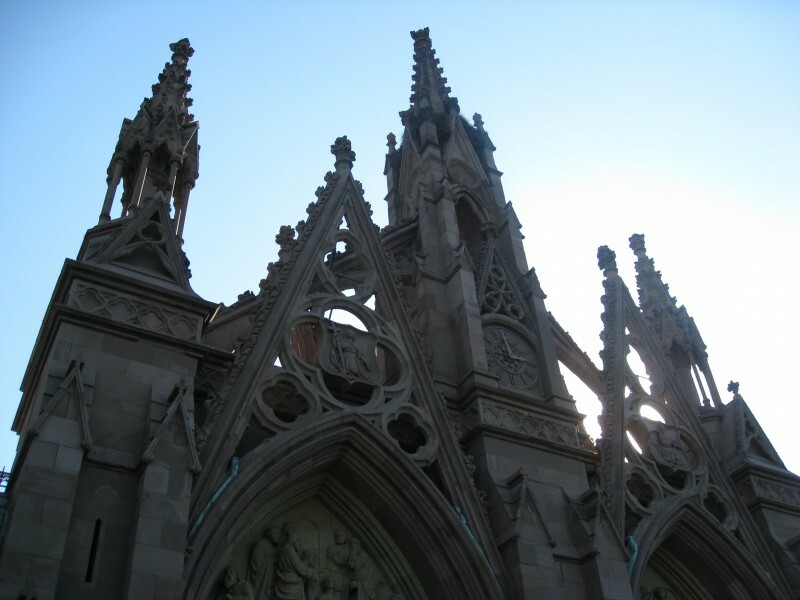 And on this past super-sunny Sunday, away we went to the famed cemetery. We walked from our apartment (stopping for brunch at the yummy Thistle Hill Tavern on the way) to the gates at 25th St & 5th Ave (a 2.5 mile walk). 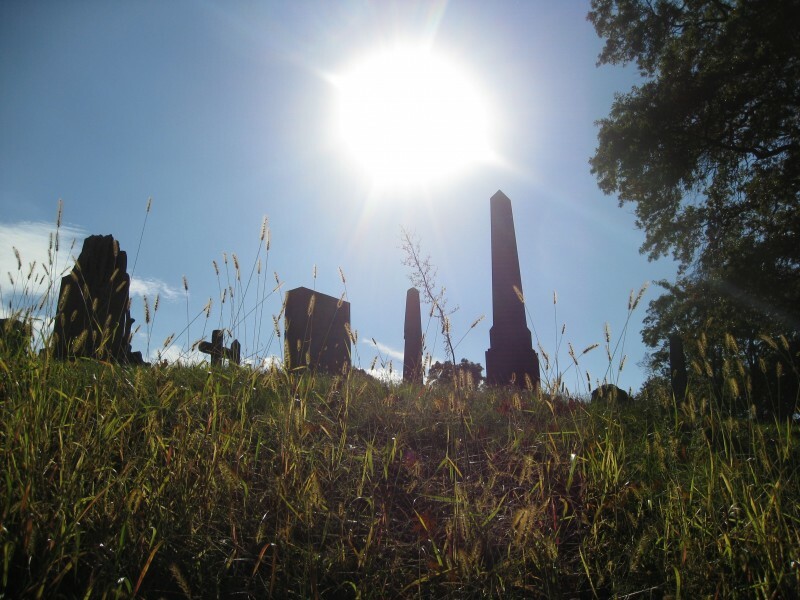 The light was intense & dreamy as we made our way around the windy pathways, stopping to admire the graves of people like Louis Comfort Tiffany & William “Boss” Tweed. 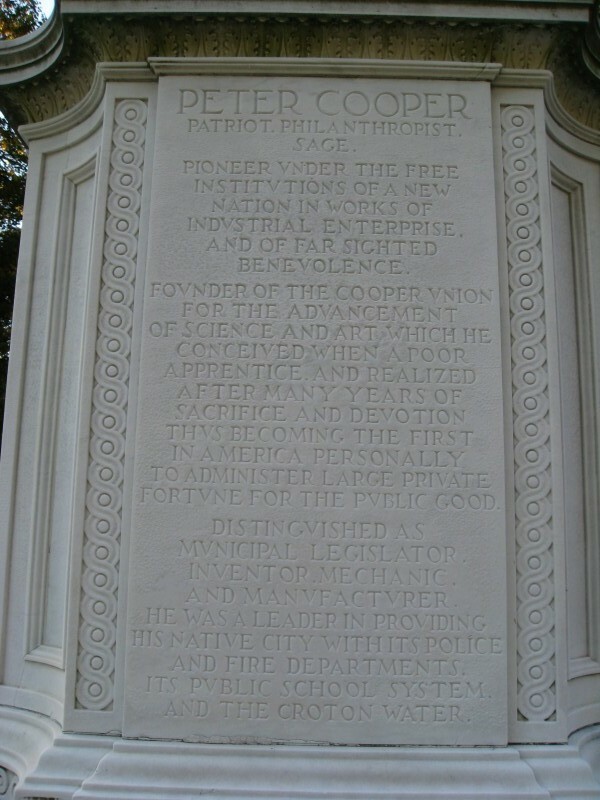 My favorite grave marker was that of Peter Cooper (of Cooper Union fame). 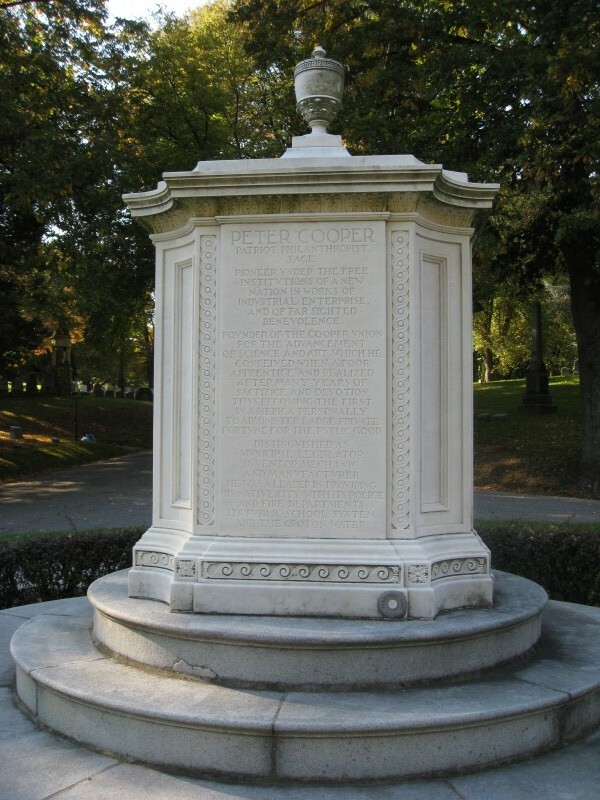 It’s an amazingly thought-out memorial, including all of Mr. Cooper’s achievements, a poem by Joaquin Miller, as well as his wife Sarah Bedell’s epitaph. Aside from the interred humans of note, there are some stunning tree specimens throughout the 478-acre cemetery. 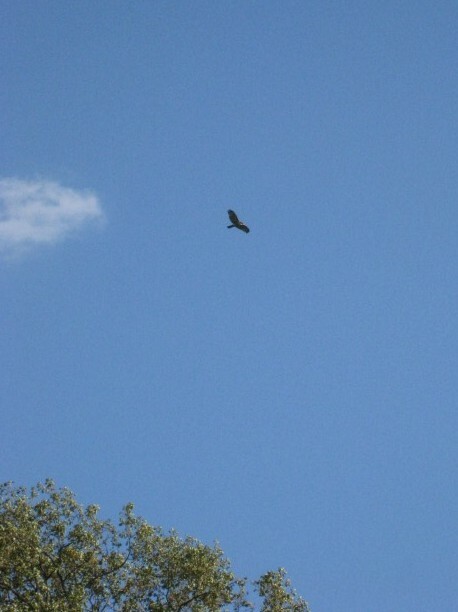 It’s also home to at least one very large hawk, a growing flock of wild parrots, and it’s a stopping-off point for many migrating birds as well. Watch this space for more city-centric adventures! Do you feel a pang of guilt every time you throw away food scraps? Are you looking for a way to have a positive impact on your local ecology? Do you want to create rich, healthy soil to nurture your garden, houseplants, or street trees? 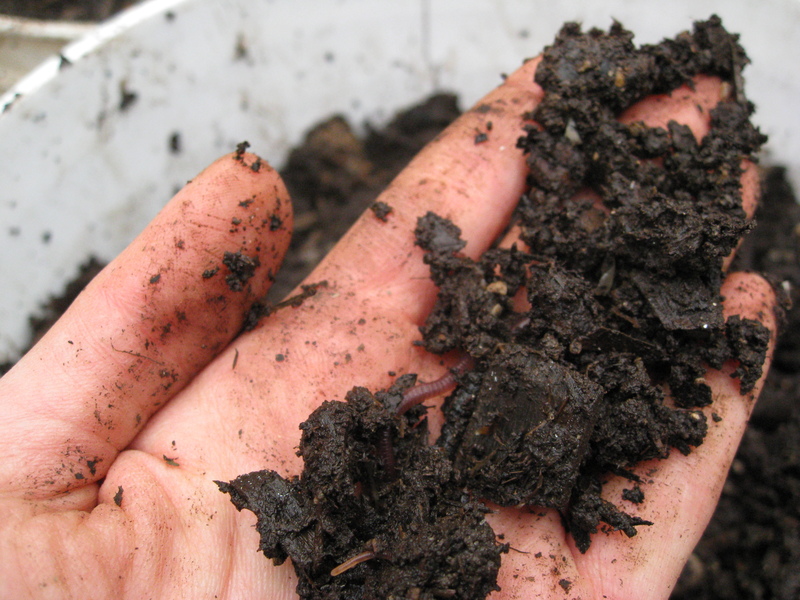 Are you curious about composting, but don’t know where to start? If you answered yes to any of these questions, sign up for Composting in Tight Quarters, a workshop I’ll be teaching at the New York Botanical Garden’s midtown campus. You’ll learn about the various ways you can create black gold from food scraps and yard waste. You’ll walk away with a better understanding of the methods city dwellers use to create compost both indoors and out. You are currently browsing the Raganella blog archives for October, 2010.